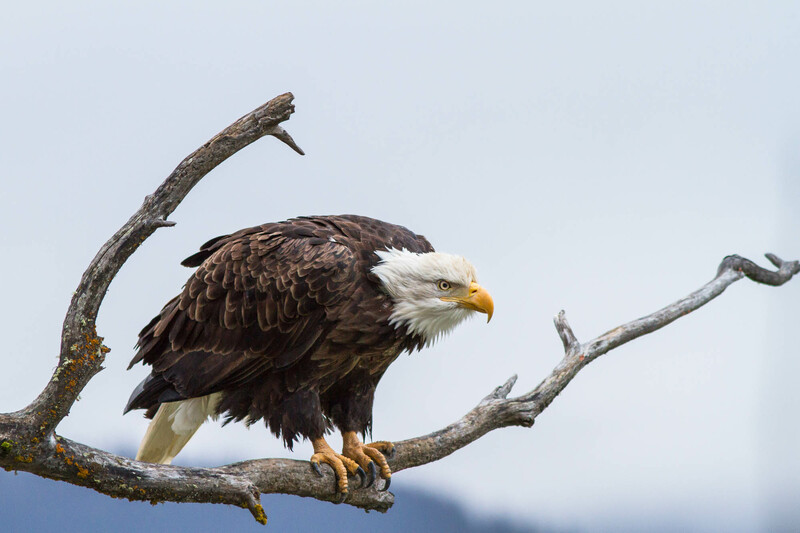 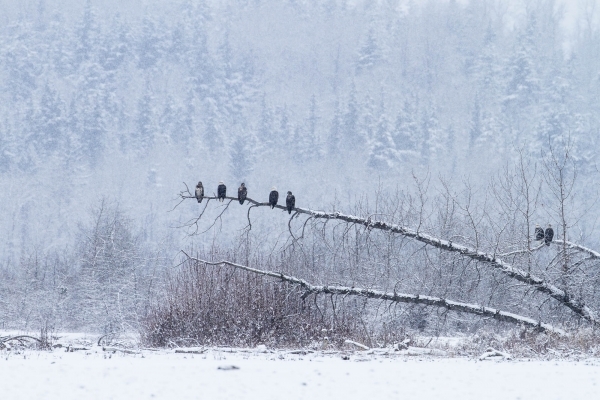 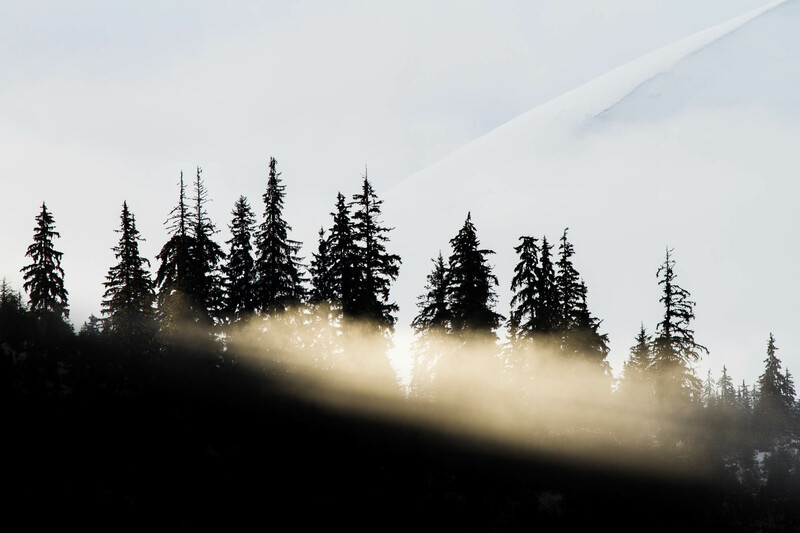 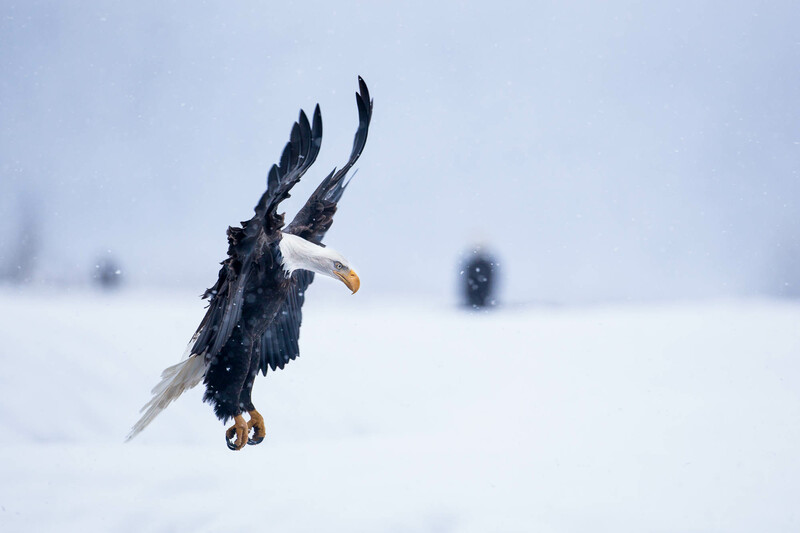 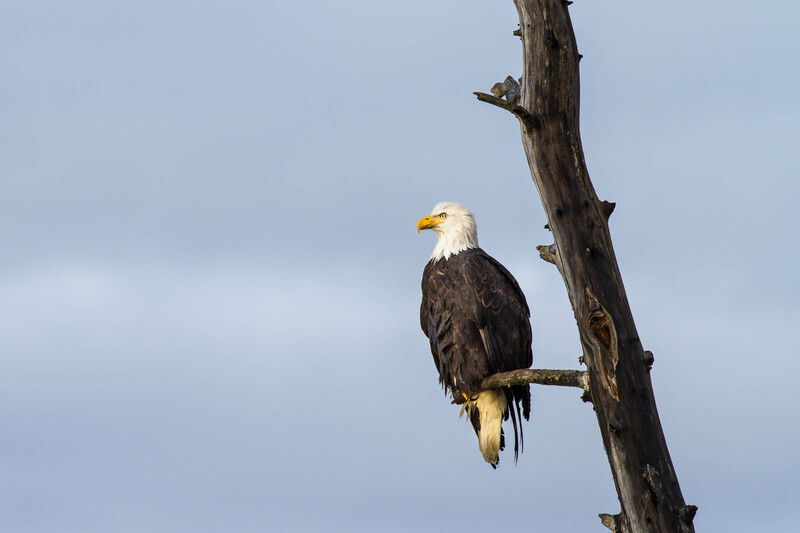 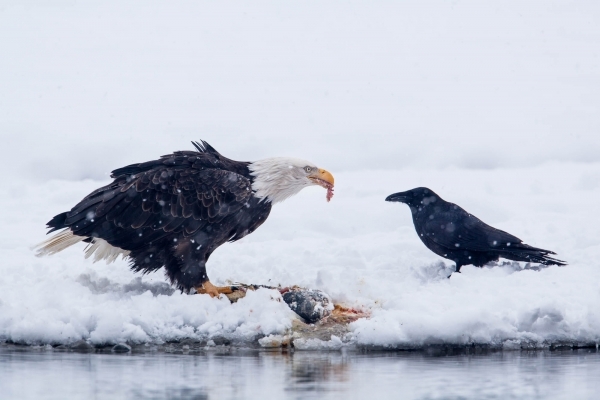 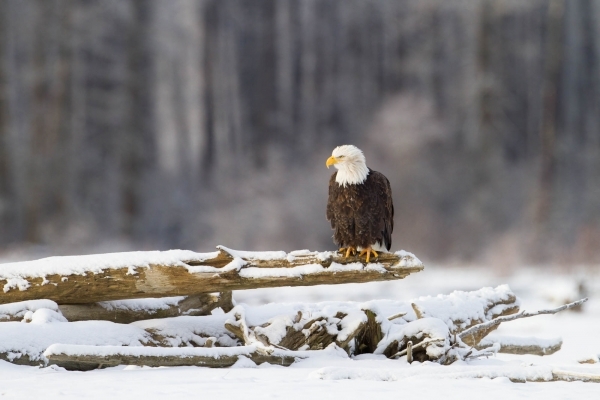 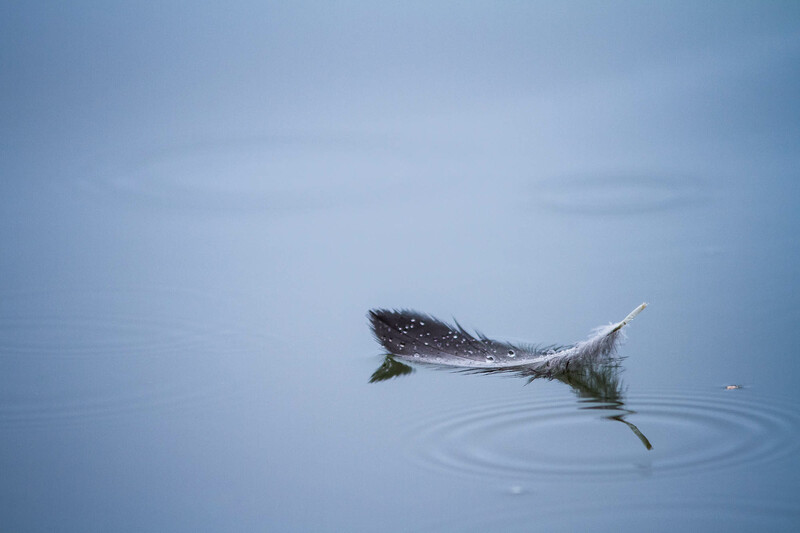 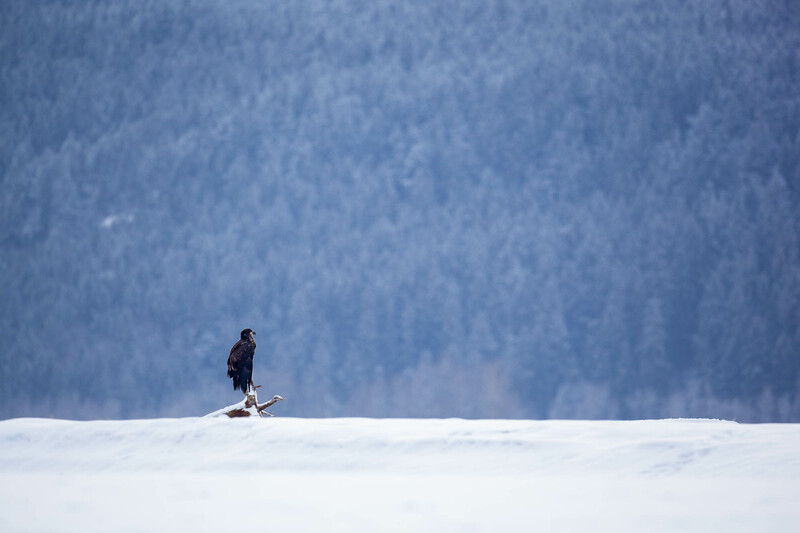 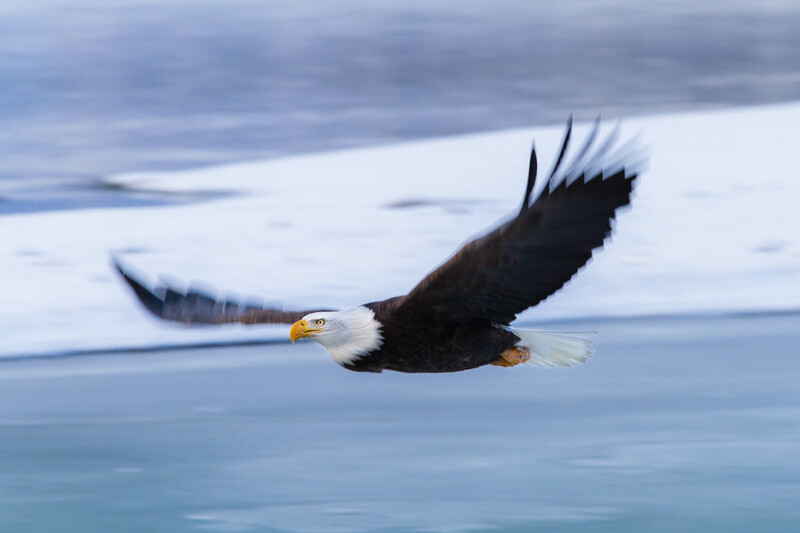 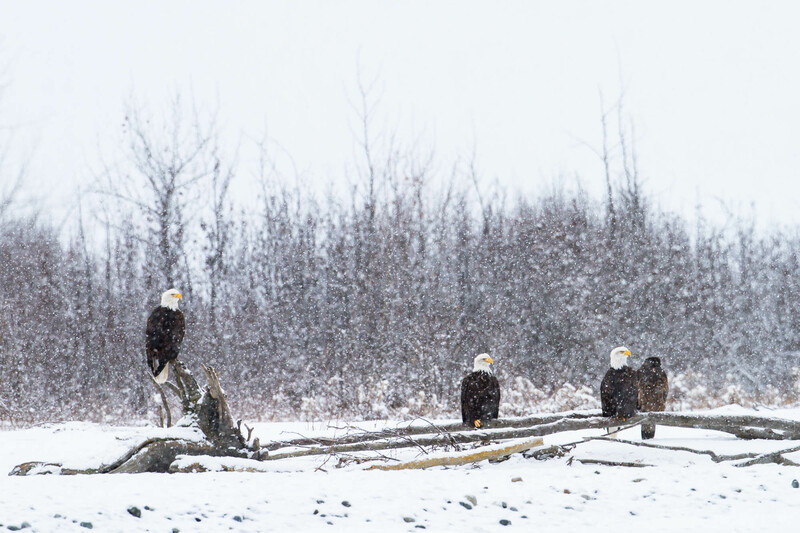 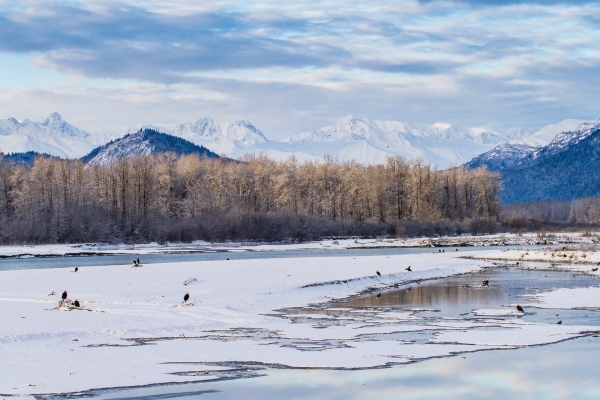 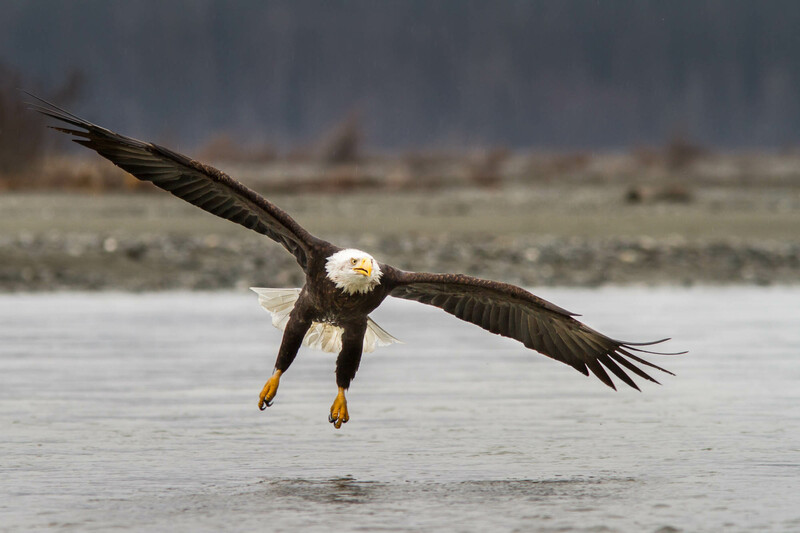 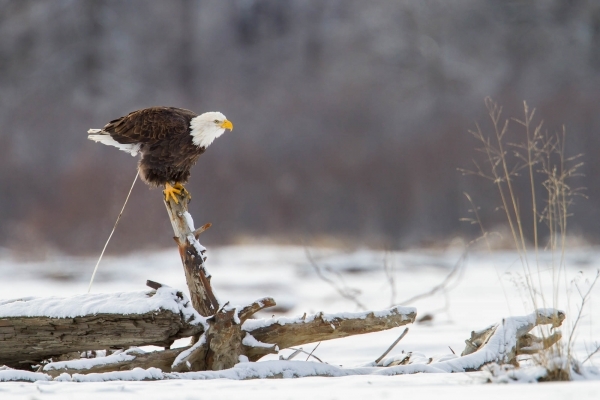 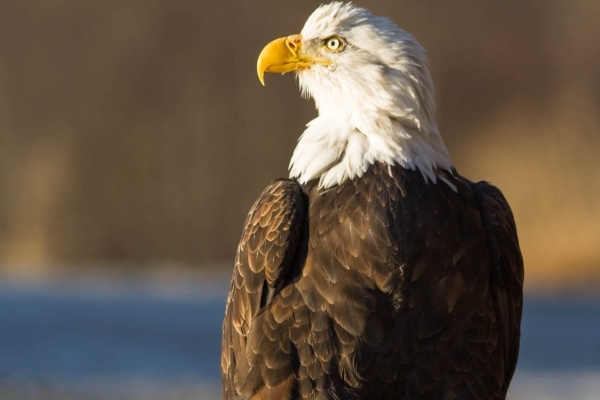 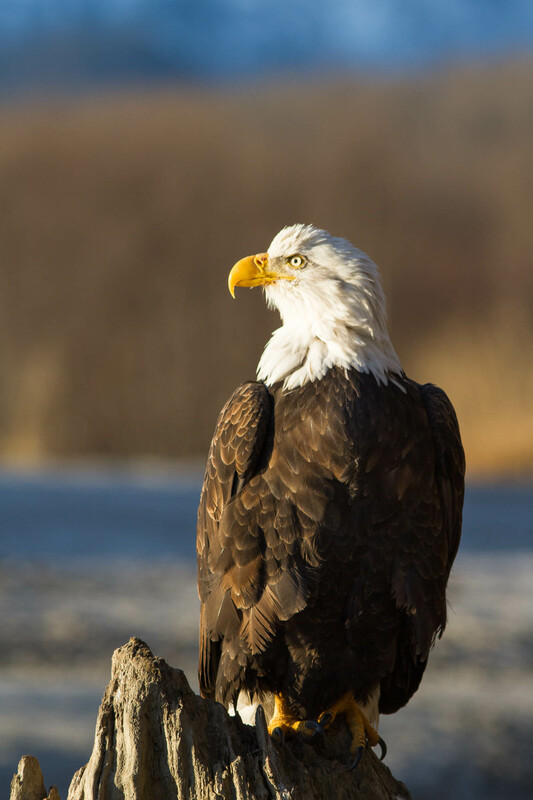 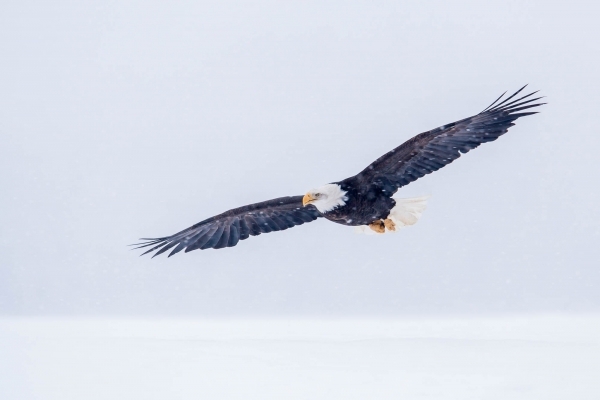 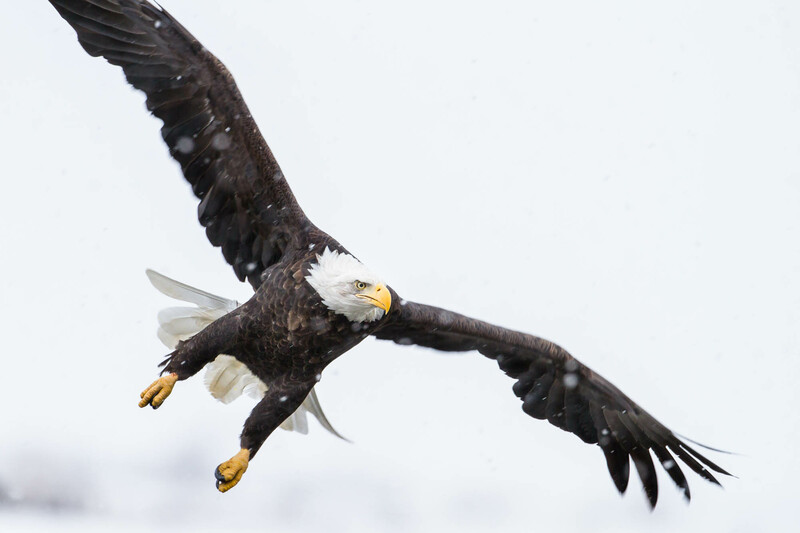 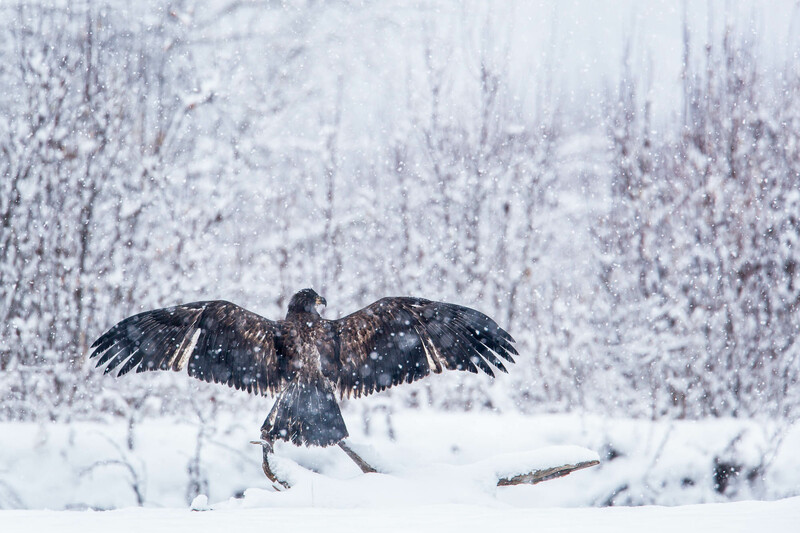 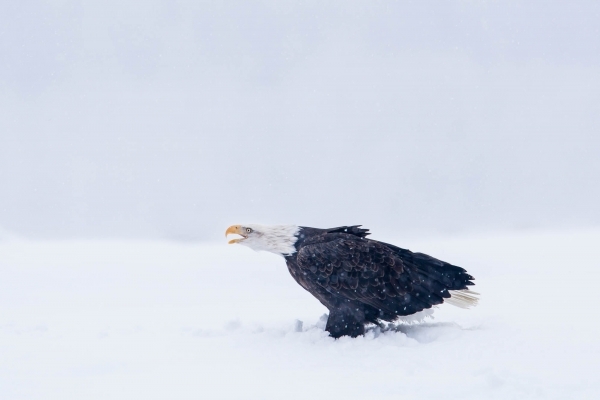 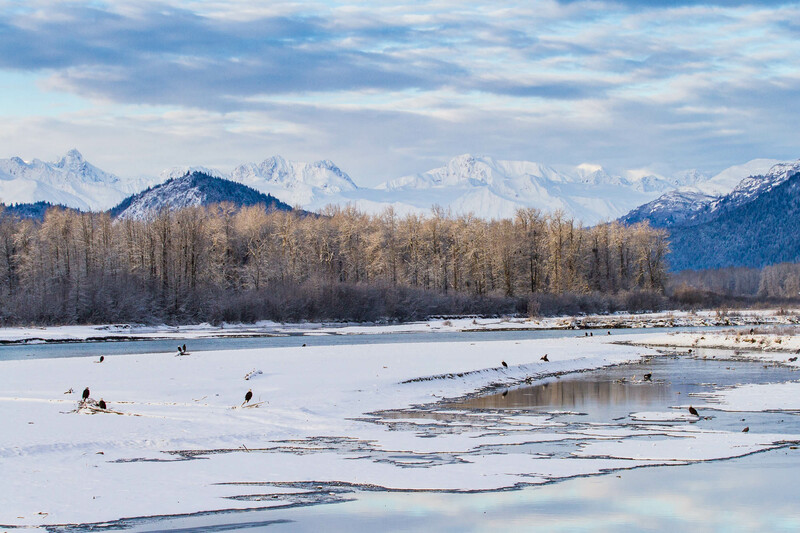 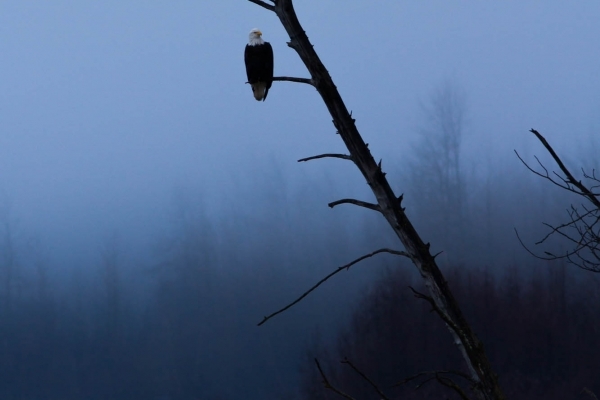 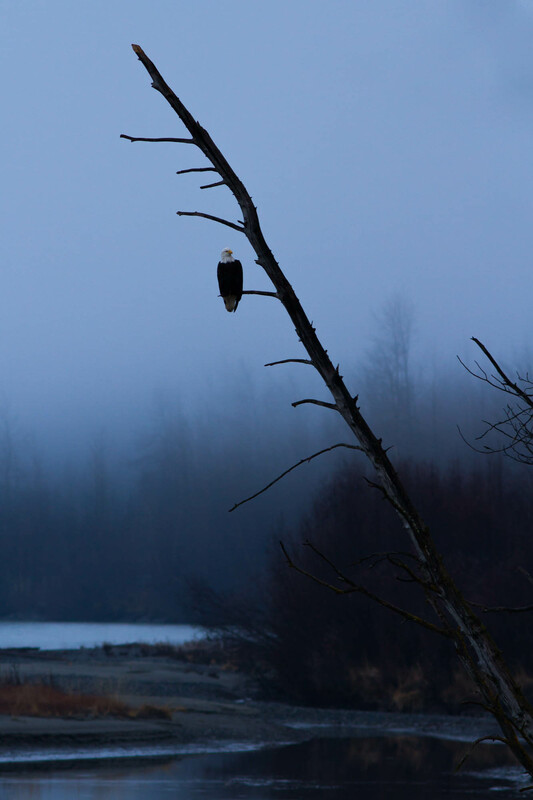 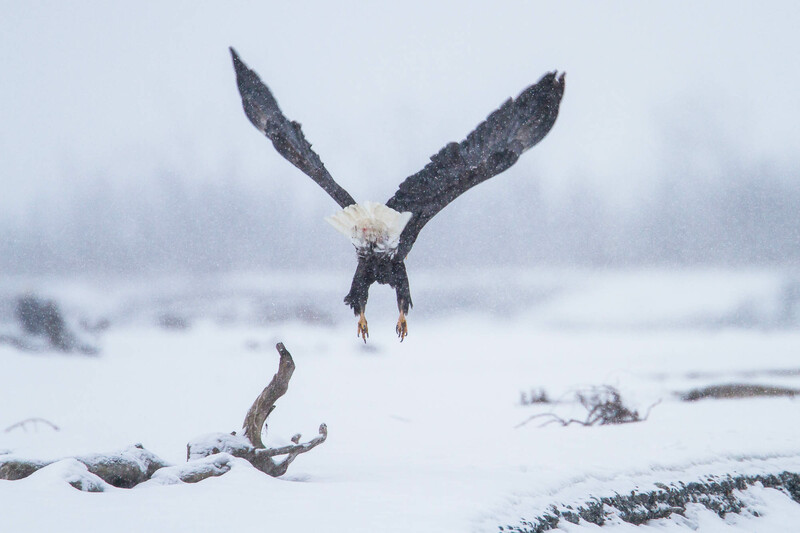 In late fall every years thousands of bald eagles gather along the Chilkat River in Southeast Alaska for their last feast of the season. 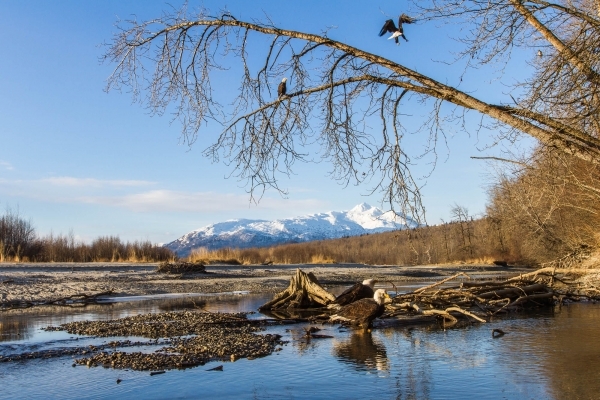 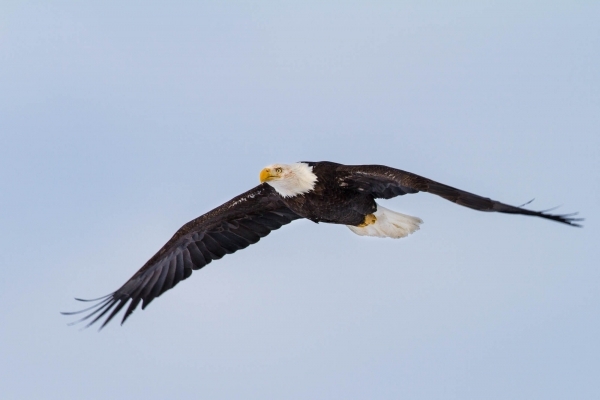 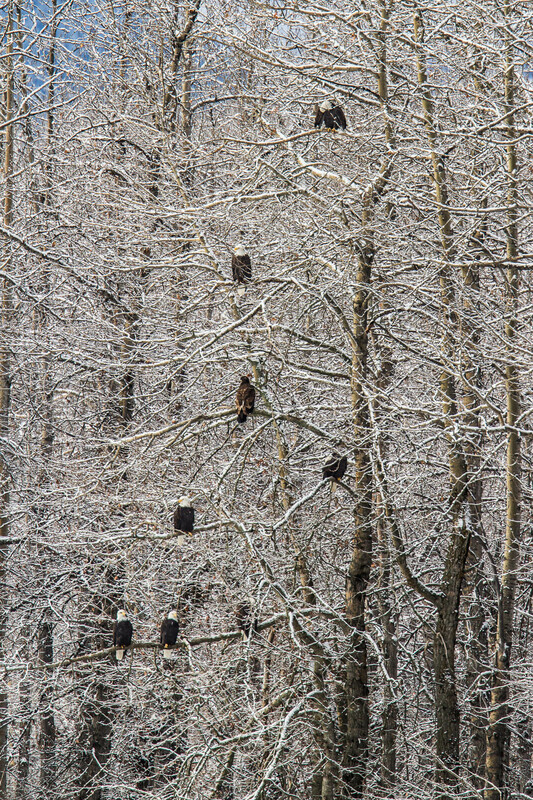 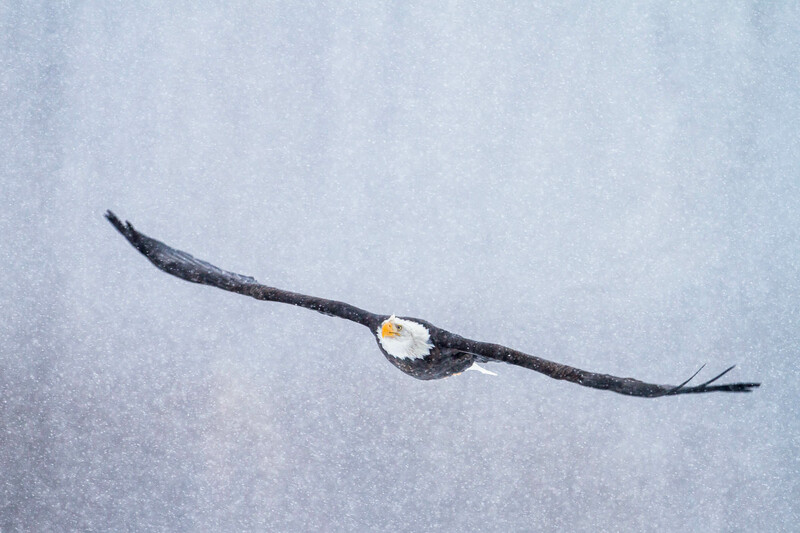 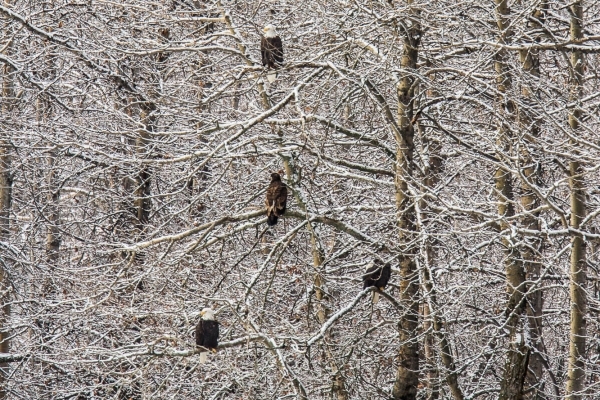 A late fall spawning run of 10-pound chum salmon attracts this largest known congregation of bald eagles. 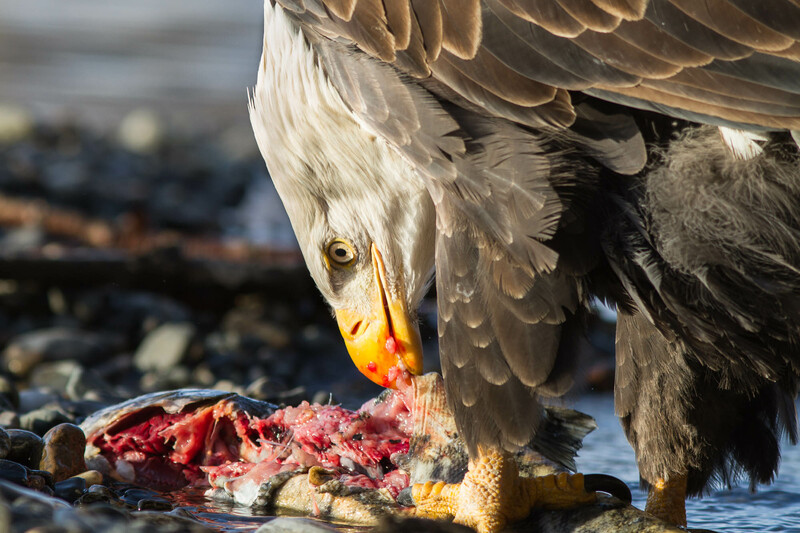 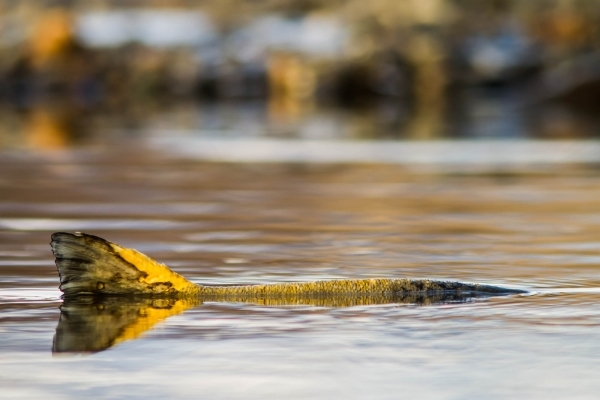 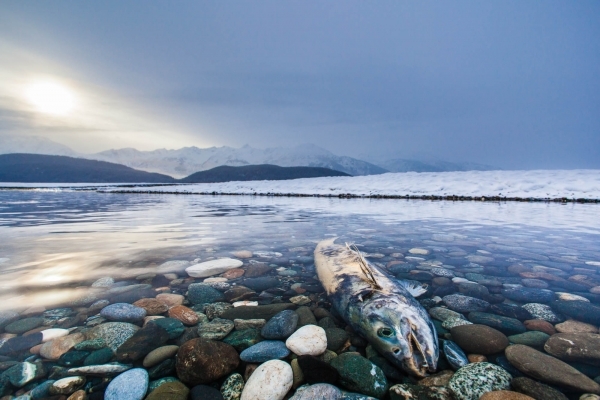 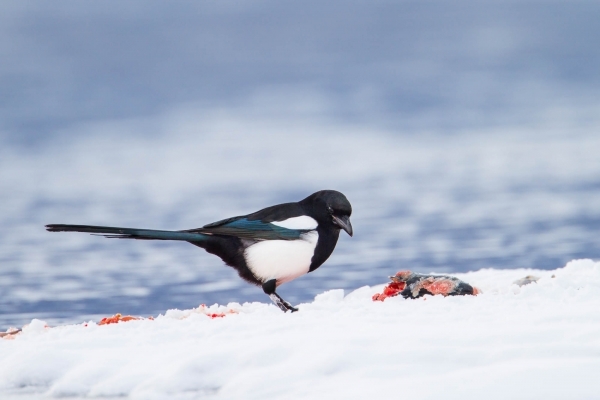 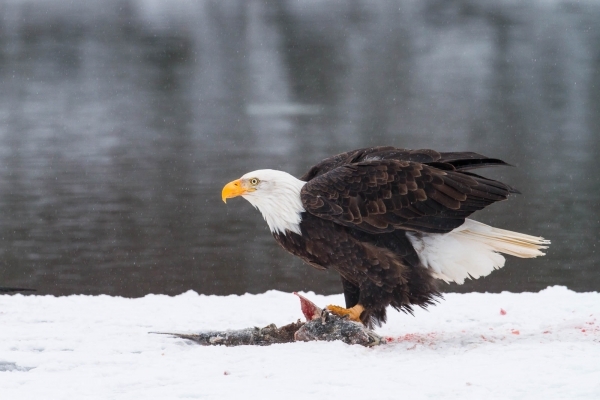 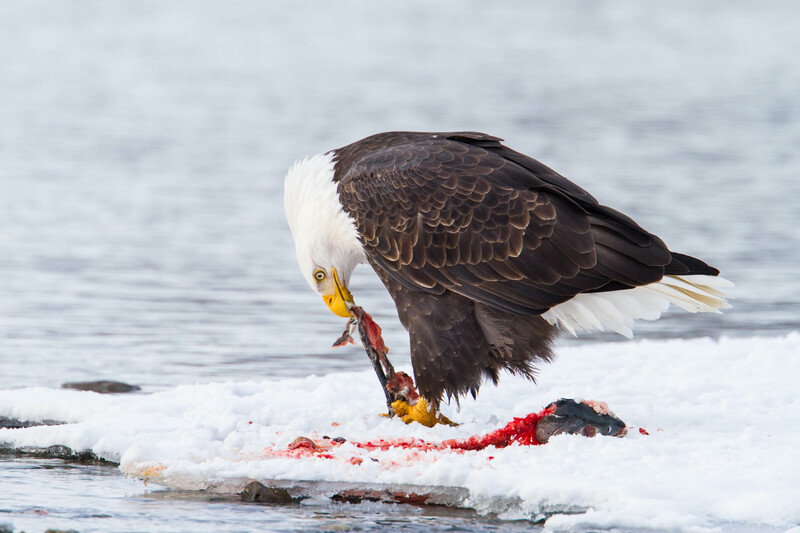 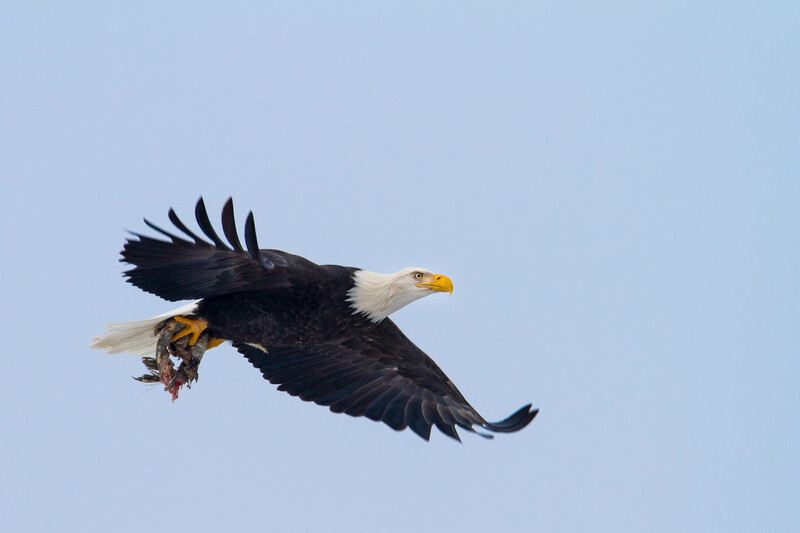 Most salmons die shortly after spawning and their carcasses provide large quantities of food for the eagles. 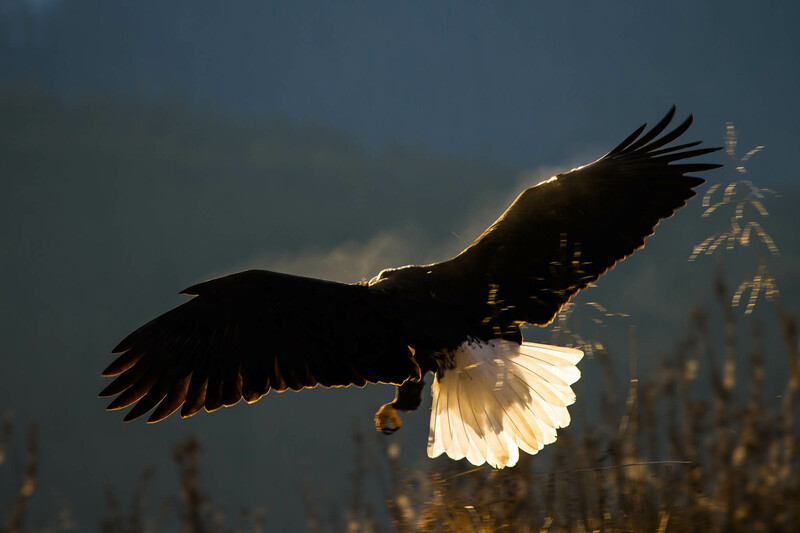 Bald Eagle enjoying the sun.